With one bedroom and two bathrooms, Amore at Schooner Bay is a great place to call home during your vacation to Barbados. Amore is part of a small high end resort complex that features a large pool with direct access to the amazing sandy beach, as well as a gym and a Jacuzzi. The air-conditioned apartment has a fully equipped kitchen, living area, and indoor and outdoor dining areas. A private patio looks over the garden. Nearby, Cobblers Cove Hotel has a great restaurant and bar, and water sports are available there as well. Within easy walking distance (less than a minute) is the beachside town of Speightstown. Newly furnished, Amore at Schooner Bay is part of the beachfront condominiums on the West Coast of Barbados. Tropical gardens surround the large swimming pool along with direct access to one of the most best beaches on the island. The townhouse is equipped with high quality finishes, including marble floors. It is also fully air-conditioned and has a custom, Italian-style kitchen with everything you need for meal preparation. The bedroom has a walk-in closet and the patio overlooks the garden. A range of activities can be enjoyed at Schooner Bay, which includes exercising in the gym or relaxing in the Jacuzzi. Swimming can be done in the pool or the ocean, and water sports are available at Cobblers Cove Hotel, just a short walk across the beach. This hotel also has an excellent bar and restaurant. The pool and beach are equipped with sun beds exclusively for Schooner Bay use and beach towels are provided in Amore. Speightstown, a town rich in culture, is a 1-minute walk from Schooner Bay where there are shops, banks, and great restaurants. 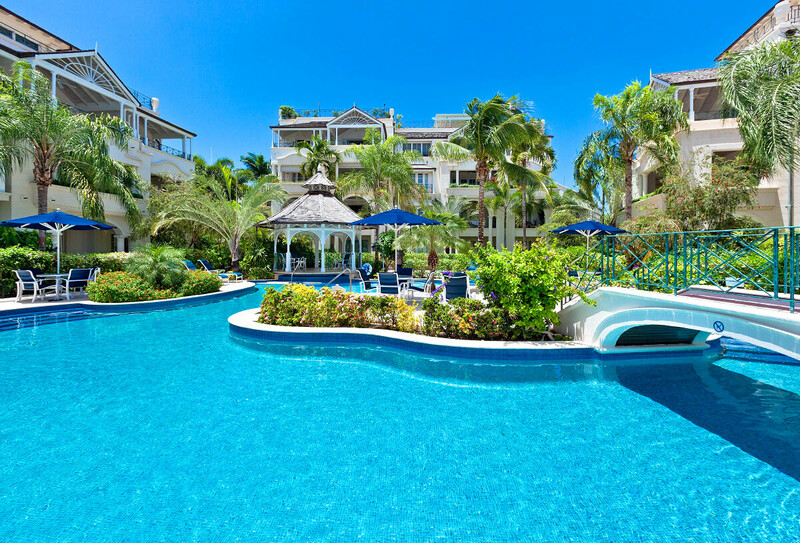 Easy access to water sports via Cobblers Cove Hotel nearby. Communal PoolPool Depth:2'6" - 5'6"